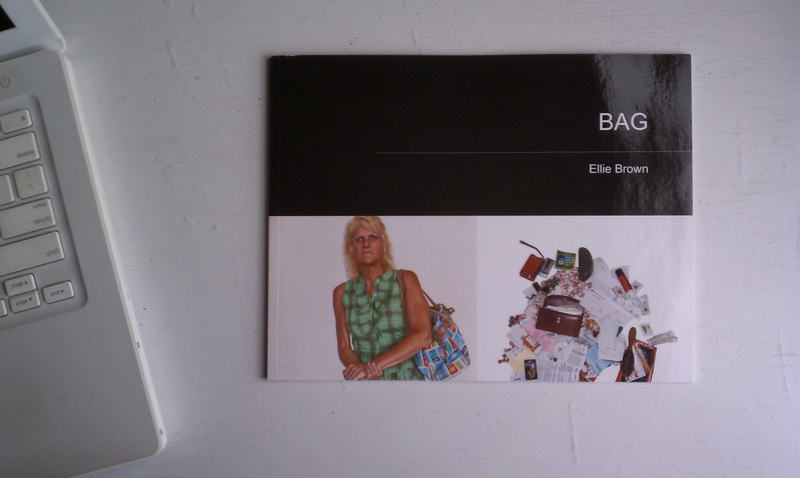 Summary: BAG is photographic installation exploring the duality between the way people characterize themselves in public and the private contents of their handbags. This is depicted by a photograph of the subject against a neutral background, in their everyday clothes, with their bag, purse, briefcase or any other container they carry on a daily basis. The portrait of their public face is juxtaposed with the person’s more private self, represented by the actual contents of their bag. BAG allows the viewer a glimpse into the private world of another individual, revealing aspects of this person’s organizational habits, vanities, occupations and preoccupations. This is a personal and voyeuristic look at the possessions a person carries in their bag, which has been gifted to the viewer by the subject as a willing participant. It is the tension between the person and what they are attached to that constitutes the main point of interest in BAG. What do people choose to hold onto? What are the materials they feel they need to carry around with them? What is the correlation between how the subjects choose to portray themselves in the world, and the story that is conveyed to us by their intimate objects? Furthermore, what is the story of the objects themselves? Some are sentimental, materially valuable, some are part of a current of shared objects that pass unwittingly from person to person–—pens, flyers, elastic bands. How many things are in our bag now that we are unaware of, that have been passed to us and that we will pass on, never cognizant of when they appeared and disappeared from our lives? What are the objects in people’s bags that they are sufficiently attached to in the present to physically carry with them, but will be lost or unaccounted for in a few months time? Published on May 9, 2011 2:45 pm.